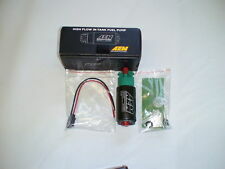 1 new Genuine AEM 340lph E85 fuel pump. 1AEM 340lph E85 fuel pump. New genuine AEM parts. 1992 to 1996 Honda Prelude H23. A custom fuel line fitting is included for the factory fuel line, and the ends of each rail are pre tapped to accept -6 AN or 9/16”x18 fittings for users who want to use custom fuel lines. Acura B18B1, B18C1 & B18C5. Car Model: Integra GSR RS LS GS. 1994 to 2001 Acura Integra GSR 1.8L VTEC. A custom fuel line fitting is included for the factory fuel line, and the ends of each rail are pre tapped to accept -6 AN or 9/16”x18 fittings for users who want to use custom fuel lines. A custom fuel line fitting is included for the factory fuel line, and the ends of each rail are pre tapped to accept -6 AN or 9/16”x18 fittings for users who want to use custom fuel lines. We have never had a problem with them, the threads are machined clean, they are durable, they dont break, and they have a big enough bore for 1000hp. Engine: B16A,B18C,B18C1,B18C5,D16Y8,H22A,H22A4. 1994 to 2001 Acura Integra GSR 1.8L. AEM's Honda/Acura Adjustable Fuel Pressure Regulators are capable of supporting enough fuel flow for engines up to 1000 horsepower. 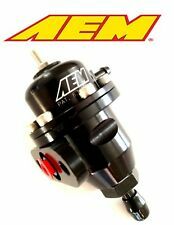 AEM's Universal Adjustable Fuel Pressure Regulator is capable of supporting enough fuel flow for engines up to 1000 horsepower. Our universal fuel pressure regulator is tapped to accept a -6 AN, or 9/16”x18 fittings and includes a 1/8 NPT port for a fuel pressure gauge or pressure sensor pick up. Used AEM EMS Series 1 Plug and Play Stand Alone ECU. Used AEM EMS Series 1 Plug and Play. An AuthorizedMaster Dealer for AEM. fits 99-00 Civic, 00-01 Integra (except Type R). 1999-2000 Honda Civic DX / LX / EX / SI Manual Transmission Only. Engine: F20C F22C. Car Model: S2000. 2000 to 2005 Honda S2000 2.0L/2.2L VTEC. A custom fuel line fitting is included for the factory fuel line, and the ends of each rail are pre tapped to accept -6 AN or 9/16”x18 fittings for users who want to use custom fuel lines. 1992-2001 Prelude with H22A1 H22A4 H23A1 Must use AEM Fuel Rail. AEM's Honda/Acura Adjustable Fuel Pressure Regulators are capable of supporting enough fuel flow for engines up to 1000 horsepower. AEM includes a custom barb fitting to accommodate the factory fuel hose and the base of each regulator is tapped to accept a -6 AN or 9/16”x18 fittings. Is An Authorized Master AEM & AEROMOTIVE. All New in box. Aeromotive Part Info Fuel coming from the vacuum/boost port indicates the diaphragm has either been ruptured or delaminated (lost its coating) and fuel is passing through it. Our universal FPR is tapped to accept a -6 AN or 9/16x18 fittings and includes a 1/8 NPT port for a fuel pressure gauge or pressure sensor pick up. Universal fuel pressure regulator adapts to virtually any vehicle. Engine: F22 F20c F22C D16. AEM's Honda/Acura Adjustable Fuel Pressure Regulators are capable of supporting enough fuel flow for engines up to 1000 horsepower. AEM includes a custom barb fitting to accommodate the factory fuel hose and the base of each regulator is tapped to accept a -6 AN or 9/16”x18 fittings. Engine: D16Y7 D16Y8. A custom fuel line fitting is included for the factory fuel line, and the ends of each rail are pre tapped to accept -6 AN or 9/16”x18 fittings for users who want to use custom fuel lines. The new AEM Cold Air Intake kit for the 08-10 Evolution X is one of the best and first mods you can do to your car. This system incorporates a fully enclosed airbox which houses a 3x5" DRYFLOW filter and uses the factory air duct to draw in the coolest air possible. Ø fuel system. Ø racing radiators and cooling. Call us at817-860-4300 for imm ediate assistance. Military and PO Boxes. ​​​​​​​Military and PO Boxes. 9:30AM – 6:30PM. Arlington, TX 76015. 1218 Colorado Lane Suite C3. The AEM High Flow -10 AN Inline Fuel Filter is CNC machined from 6061-T6 Aluminum and Hard Anodized Black. AEM’s engineers designed this filter with the racer in mind and with the intention of maximizing flow, filtration and ease of installation. 25-112BK Honda 2000-2009 S2000. A custom fuel line fitting is included for the factory fuel line, and the ends of each rail are pre tapped to accept -6 AN or 9/16”x18 fittings for users who want to use custom fuel lines. Inlet Fitting M18X1.5 female. Outlet Fitting M12x1.5 male. The AEM 380lph High Flow, High Pressure Fuel Pump for high performance naturally aspirated and forced induction EFI vehicles. The AEM 380lph High Flow Fuel Pump is designed for use with gasoline. AEM's Evolution 8 & 9 intake includes an aluminium inlet pipe, heatshield, and high-flow filter. All parts needed for a complete, bolt-on install are included. Although this is a very simple intake setup, it works well with the Evo 8 & 9. A check valve that prevents unintended fluid flow is included standard. Two injectors and multiple interchangeable nozzles are included to cover a wide range of high torque/horsepower levels along with 20 feet of injection tubing to facilitate the system being installed on practically any vehicle. No, Aeromotive EFI bypass regulators may not seal perfectly when the pump is off. They are engineered for the highest possible performance when the engine is running. Be careful using a factory style filter-regulator, like those used in the Corvette, if your fuel pump flows more than 250 LPH. The AEM Water Injection Kit is a safe and economical way to reduce air inlet temperatures to increase boost pressure for more power. Lower air inlet temperatures allow users to advance timing without having to run higher-octane fuel. X18 fittings for users who want to use custom fuel lines. 2000-2003 Honda S2000 Base L4.1997cc. 2004-2005 Honda S2000 Base L4.2157cc. O.E. 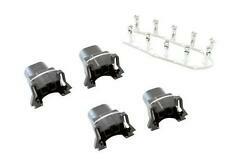 fuel pressure regulator or AEM adjustable fuel pressure regulator mounts directly to rail with no modifications. Mating connector and 12" leads included (sensors). Accurate and affordable! Special orders from MFG's can take longer depending on the manufacturer, availability and etc. With durability and reliability in mind, AEM has designed the pump with a Santoprene diaphragm and EPDM seals to withstand the harshest of alcohol mixes. Trending at $138.06eBay determines this price through a machine learned model of the product's sale prices within the last 90 days. AEM includes a custom barb fitting to accommodate the factory fuel hose and the base of each regulator is tapped to accept a -6 AN or 9/16x18 fittings. 1997 Acura CL. Fits with the following vehicle(s). AEM includes a custom barb fitting to accommodate the factory fuel hose and the base of each regulator is tapped to accept a -6 AN or 9/16x18 fittings. 1996-1997 Honda Civic del Sol S. 1996-2000 Honda Civic. AEM's Honda/Acura Adjustable Fuel Pressure Regulators are capable of supporting enough fuel flow for engines up to 1000 horsepower. x18 fittings. 1997-2001 Acura Integra GS L4.1834cc. 1994-2001 Acura Integra GS-R L4.1797cc. AEM's Honda/Acura Adjustable Fuel Pressure Regulators are capable of supporting enough fuel flow for engines up to 1000 horsepower. x18 fittings. 2000-2003 Honda S2000 Base L4.1997cc. 1998 Acura CL Base L4.2254cc. Key Features: 96-06 Jeep Wrangler 2.5/ 4.0L Air Filter. AMCO AUTO PARTS, LLC. Back to top. State Restrictions. WARNING: This product contains chemicals known to the State of California to cause cancer and birth defects or other reproductive harm. Key Features: Universal Tube Tube 4in Dia. Straight Pipe. AMCO AUTO PARTS, LLC. Back to top. State Restrictions. WARNING: This product contains chemicals known to the State of California to cause cancer and birth defects or other reproductive harm. Key Features: 11-14 Ford F150 3.5L Air Induction System. 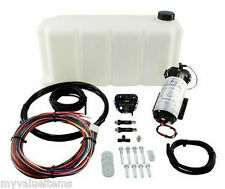 Air Induction System - Brute Force - Reusable Dry Filter - Ford Fullsize Truck 2011-14 - Kit. AMCO AUTO PARTS, LLC. Back to top. State Restrictions. 03-06 DODGE RAM 5.9L DIESEL AEM BRUTE FORCE HD DIESEL INTAKE SILVER FINISHED. AEM Brute Force HD intakes are available for popular late model Cummins, Duramax and PowerStroke Diesel engines. AEM's reusable DRYFLOW air filter for its Diesel applications is engineered to allow for longer service life and higher efficiency for maximum performance in between servicing (more DRYFLOW key features are below). Bushwacker For 99-06 Silverado / Sierra 1500 Ultimate Smoothback Bed Rail 48501 USD 108.99. Bushwacker For 99-06 Silverado / Sierra 1500 Ultimate Smoothback Bed Rail 48502 USD 108.99. Bushwacker For 99-06 Silverado / Sierra 1500 Ultimate Smoothback Bed Rail 48504 USD 108.99. 07.5-10 Chevy/GMC 6.6L DIESEL AEM BRUTE FORCE HD INTAKE SYSTEM. AEM BRUTE FORCE HD INTAKE SYSTEM 21-9033DS. AEM intake systems are designed, tuned, and dyno-tested. These kits include an oversized AEM Dryflow synthetic washable air filter for outstanding air flow, filtration, and performance while allowing easy oil-free cleaning. 94-02 DODGE RAM 5.9L DIESEL AEM BRUTE FORCE DIESEL INTAKE SYSTEM. 94-02 DODGE RAM 5.9L DIESEL AEM BRUTE FORCE DIESEL INTAKE SYSTEM SILVER POWDERCOAT FINISH. AEM BRUTE FORCE DIESEL INTAKE SYSTEM 21-8204D. BRUTE FORCE Intake System Features & Benefits Every BRUTE FORCE System is C.A.R.B. exempt or pending C.A.R.B. exemption. 94-02 DODGE RAM 5.9L DIESEL AEM BRUTE FORCE HD DIESEL INTAKE SILVER FINISH. 1 out of 5 stars - 94-02 DODGE RAM 5.9L DIESEL AEM BRUTE FORCE HD DIESEL INTAKE SILVER FINISH. 1 product rating1 product ratings - 94-02 DODGE RAM 5.9L DIESEL AEM BRUTE FORCE HD DIESEL INTAKE SILVER FINISH. 94-02 DODGE RAM 5.9L DIESEL AEM BRUTE FORCE HD DIESEL INTAKE POLISHED FINISH. X18 fittings for users who want to use custom fuel lines. O.E. fuel pressure regulator or AEM adjustable fuel pressure regulator mounts directly to rail with no modifications. Color Black. All automotive products sold are for use in the United States (USDM) market only. AEM's Honda/Acura Adjustable Fuel Pressure Regulators are capable of supporting enough fuel flow for engines up to 1000 horsepower. x18 fittings. 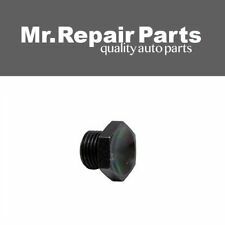 x18 fittings and includes a 1/8 NPT port for a fuel pressure gauge or pressure sensor pick up.